For an Aussie rocker whose named I don't recall, for the New York Press. 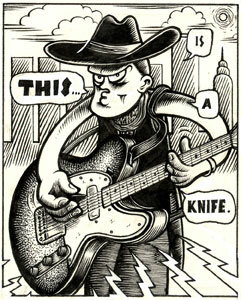 Ink on illustration board, measuring 3 1/2" x 4 1/2". Small but detailed.